Travelling to Seattle and you want to stay close to Seattle International Airport (Sea-Tac airport), here is our directory of SEA hotels. from the Doubletree Hilton to the Best Western yet all Hotels listed are only minutes from the Seattle Airport. 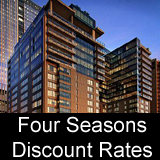 These pages on Hotels near Seattle International Airport will have Discount Rates, Descriptions, Reviews, Pictures and Video on hotels that are close to SEA, this can help you with making your decision on what hotel to stay at on your visit to Seattle. Description of the Hotel, Motel or Inn, who it is best suited for, Families, Pet Friendly, Business and more. Getting to it from the Seattle International Airport, driving direction, airport shuttle and Park and Fly info. Location - What shopping and Restaurants are located in the hotel or close by. 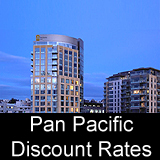 Cheapest Rates and Discounts on Seattle International Airport Hotels. Do you have a favorite Hotel near the Seattle Airport? Share it!